Churches for Middle East Peace invites you to attend a Congressional Briefing on positive efforts toward peace from Palestinian civil society. You will have the opportunity to hear from two Palestinian civil society leaders and Churches for Middle East Peace’s Executive Director. As Israeli control over the West Bank enters its 50th year, people around the world are asking what are the concrete, positive and productive steps that can be made to resolve the Israeli-Palestinian conflict. In Palestinian society itself – despite enormous barriers – Zimam is leading the effort to encourage and train young activists to fight against extremism, to promote nonviolence and counter the hopelessness so many feel. By taking responsibility for those elements that everyday people have control over, Palestinian civil society will grow stronger, healthier and more resilient. It will also help people gain the confidence that can empower Palestinians to renew and re-energize their campaign for freedom, statehood and a peaceful end to the conflict. 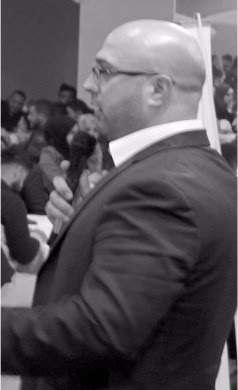 Samer Makhlouf, CEO of Zimam: In addition to more than 8 years as the Executive Director of OneVoice Palestine, Samer has extensive experience in a broad range of non-profit and business organizations in Palestine. Prior to his post with OneVoice, Samer served as the Head of Ramallah’s Al Kasaba Theater & Cinematheque Programs & Development Department. 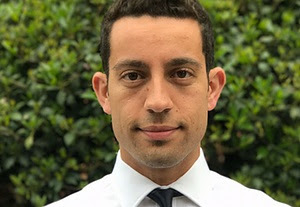 As a member of the Palestinian Council for Young Political Leaders, he has established a wide network of connections with Palestinian politicians, organizations, and institutes. Samer is from the West Bank town of Jifna and holds a Bachelor’s Degree in business administration from Birzeit University and is the first Palestinian Fellow of the Royal Society of Arts. Obada Shtaya, Regional Director of the OneVoice Movement for the Mid-Atlantic region: After earning his undergraduate degree in English Literature, Obada worked in multiple management positions for non-profit and for-profit companies. In August 2015, he decided to move to the US after receiving a Fulbright Scholarship to pursue his MS in conflict resolution. A strong believer in the important role and potential of students, Obada was one of the founders of the OneVoice on Campus fellowship program, which provides American students with an opportunity to engage in constructive activism, especially surrounding the Palestinian-Israeli conflict. Obada is from the West Bank town of Nablus. Rev. Dr. Mae Elise Cannon, Executive Director of Churches for Middle East Peace: Cannon formerly served as the senior director of Advocacy and Outreach for World Vision U.S. on Capitol Hill in Washington, DC; as consultant to the Middle East for child advocacy issues for Compassion International in Jerusalem; as the executive pastor of Hillside Covenant Church located in Walnut Creek, California; and as director of development and transformation for extension ministries at Willow Creek Community Church in Barrington, Illinois. Cannon holds an MDiv from North Park Theological Seminary, an MBA from North Park University’s School of Business and Nonprofit Management, and an MA in bioethics from Trinity International University. 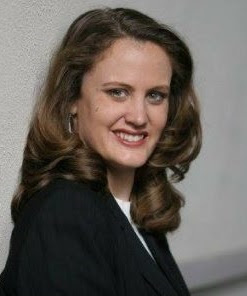 She received her doctorate in American History with a minor in Middle Eastern studies at the University of California (Davis) focusing on the history of the American Protestant church in Israel and Palestine.